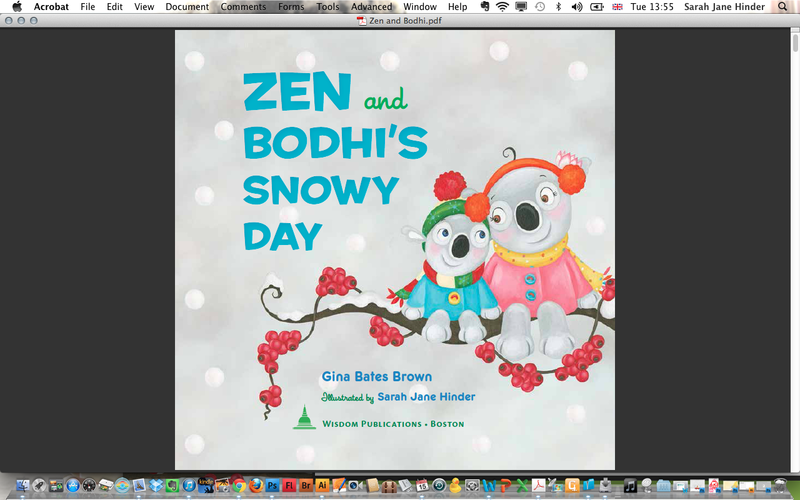 Thought I would share my exciting news that "Zen and Bodhi's Snowy Day" will be published on 18th November. It will be my first book as Sarah Jane Hinder :-) I feel very fortunate to have worked with the talented author Gina Bates Brown and Wisdom Publications. Gina is also a yoga teacher and meditation coach and I knew we made a great pairing as I too have a passion for yoga and practice meditation although my mind still tends to wander... a lot! My mind is full of creative ideas and any moment of stillness and quiet encourages my thought process. "Cuddle up with this playful, warm tale of discovery and winter wonder that will introduce mindfulness and delight your children. Zen and Bodhi are two koala bears on a snowy day, out to learn about the world. Where does snow come from? Where does wind go? Lively verses are full of mischievous fun as Zen and Bodhi explore their world; rhythm and rhyme introduce the concept of impermanence to the very young in this magical, cozy bedtime story. The two koalas sniff, taste, hear, feel, and see, exploring their senses and the world around them. Gorgeous illustrations capture the wide-eyed awe of children in snowfall in vibrant color." 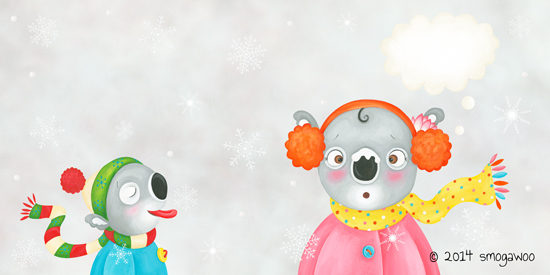 I loved creating the little koala characters and always feel that snow and snowflakes look quite magical in illustrations. I hope Zen and Bodhi are enjoyed by the children reading this book as much as I enjoyed creating them!